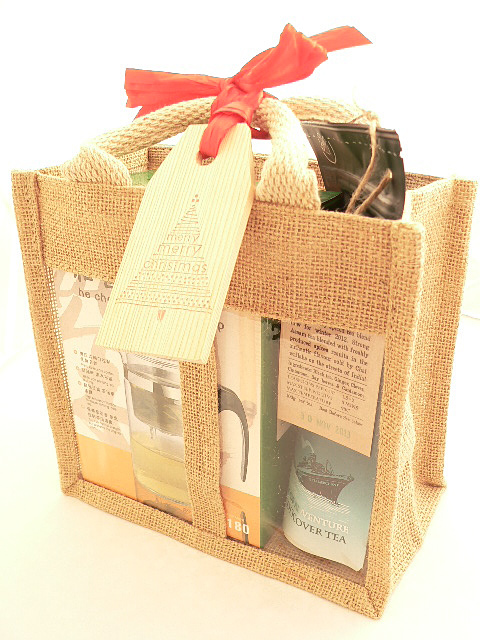 This giftset contains a Chinese Gong-fu style one cup Glass teapot (500ml jug) and two 50g packets of our Premium teas! Presented in our natural jute giftbag with window, bright red ribbon, and luxury blank wooden gift tag. Everything someone needs to sample the joys of luxury tea, our quality glass teapot features a one-cup brewing chamber that flushes your perfectly brewed loose tea into the chamber below at the press of a button. 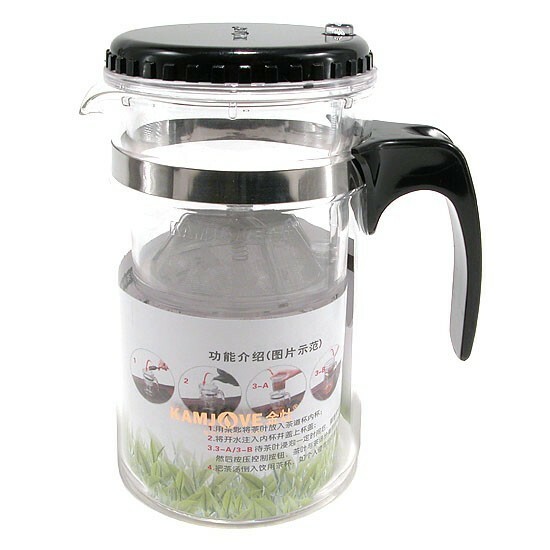 Loose leaf tea making has never been so easy or enjoyable! The blooming tea flowers offer a special experience & look fantastic infused loose in the glass teapot. White tea: 50g #2 Bai Mu Dan - Our top quality Spring 2016 picked China white tea. Green tea: 50g Akarui Aracha - Organic delicious green tea from Japan, picked fresh in Spring 2016. Oolong tea: 50g Golden Lily oolong - a delicate tasty floral oolong blend from Vietnam & Taiwan. 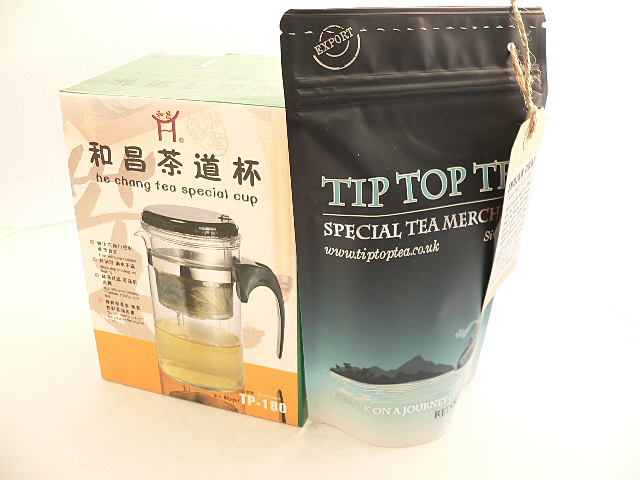 Black tea: 50g Yunnan Black - A Gold Star winning tea that embodies rich and flavoursome Black tea. Pu-erh tea: 50g Ripe Pu-erh - Our tasty 2010 Pu-erh from Nan-Nuo in Yunnan, aged 6 years.